I have a lot of new work coming out in print at the moment – and, as is typical, it is all coming out at once. 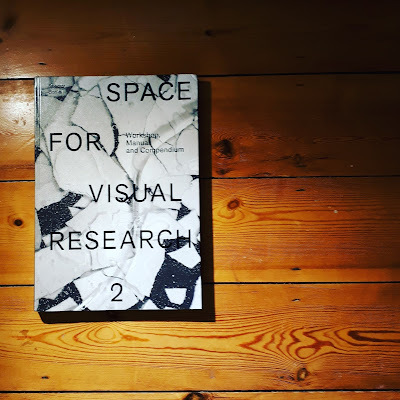 First up is Space for Visual Research 2: Workshop Manual and Compendium, which contains an essay I wrote over the summer at the request of Anna Sinofzik, one of the volume’s editors and a former student of mine. The work contained in this fascinating collection represents an extracurricular graphic design laboratory at the Bauhaus University Weimar, and I am particularly proud to have been invited to contribute – it feels to me as if a tradition is being carried through from the early twentieth century into the twenty-first. My best wishes go out to all who are involved in this enterprise. My essay is called ‘The Cosmos is a Work in Progress: Astronomy as Communication Design – A Guide to What You Are Missing’ and is based on a lecture I gave at the Royal College of Art earlier in the year – details on that particular talk can be found here . For more information on the publication, which is available from Spector Books of Leipzig, please click here or here. There are two more new essays of mine that have just gone into print, and I will get to them in successive posts. Each deserves to have its own entry as each is very different. Bear with me while the blog adjusts itself. I am very happy for posting on this blog on how a great spell caster helped me to bring back the love of my life. droduwaspellhome01@gmail.com you can also call or whatsapp him on +2348136354191.